The sheer size of trucks makes them imposing vehicles. It also makes drivers of smaller cars vulnerable to serious personal injury or wrongful death in the event of an accident. Truck drivers have strict guidelines they must follow in order to prevent accidents. Unfortunately, those guidelines are often ignored in order for the trucking companies to get more work done and make more money. Call 720-443-0324 Neill Trial Law for help. Haste can lead to improper loading and failure to secure loads. It can lead to poor truck maintenance of brakes and other equipment. Truckers may drive too many hours, reducing their ability to drive safely. They may also drive too fast, putting everyone on the road at risk. We are committed to holding negligent truck drivers accountable for their actions and to helping you recover full compensation for your injuries. We are also committed to holding trucking companies responsible when they hire truck drivers who have bad driving records, prior convictions for DUI or other criminal convictions. 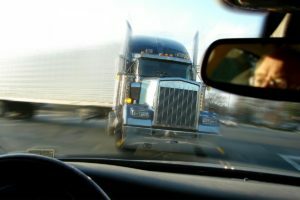 When a tractor-trailer or truck causes an accident, you can be certain that the trucking company will go to work immediately to build a case in its defense. It will put all its resources to use protecting its interests and assets. In fact, trucking companies often send insurance adjusters out to the scene of the accident to talk to you before you have the opportunity to seek medical treatment and consult a lawyer. Those adjusters will often try to minimize their driver’s responsibility for causing your injuries and the seriousness of your injuries. You have the right to protect your interests and well-being. If you or a loved one has been in a tractor-trailer crash, Neill Trial Law can help. We are lawyers who care about our clients and we are ready to put our skills to work for you to make sure that you receive the compensation you deserve! Contact Neill Trial Law today at 720-443-0324 or fill out the form for a free case evaluation.